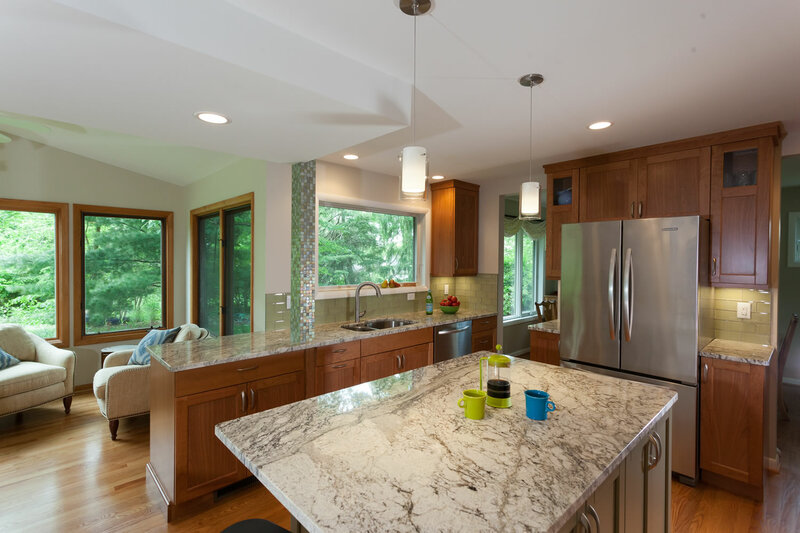 Apple green plates, apple green chair cushions, and well, a love of “apple green” was the inspiration for this kitchen remodel in Ann Arbor, Michigan. The home was a traditional colonial, but we bumped out the back of the home by about 4 feet and created space for a nice sized island – a requirement of the homeowner. 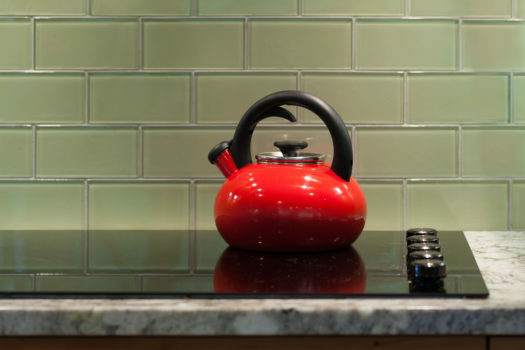 All new appliances, cherry cabinets by Brookhaven, Cambria quartz counter tops, and green glass subway tiles are the recipe here for a tasteful kitchen that is not only pleasing to the eye, but functionally works well. She gained more storage and an extra doorway to her dining room, as we made butler doors in and out of her attached dining room. We also reworked the powder room as we had to relocate it from the existing kitchen space. I guess you could say that the kitchen is now the apple-of-her-eye and it was “love at first bite!”.